Although they have been showered with accolades and honored in a multitude of ways, the Lumière Brothers probably never expected to have the 100th anniversary of their invention of cinema celebrated with the world premiere of a full-evening dance in their hometown: Lyon, France. But that is what will happen when the Lyon Opera Ballet presents the world premiere of “24 Frames Per Second” created by the American artist, Bill T. Jones, LOB’s resident choreographer. The dance will be premiered at the Lyon Opera House, June 2-11. The title of Jones’s new dance, “24 Frames Per Second,” was the original name of cinema, referring to the speed which it took to create a moving image. Set to commissioned music by John Oswald, the dance uses period movement to celebrate the two brothers, August and Louis Lumière, whose combined imagination (Louis) and technological skill (August) created the first cinema. Jones’s work, a poetic rumination on the invention of cinema and its effect on the new possibilities it opened up for choreography, explores man’s need to create a moving image. Was it his envy of the natural world, his desire to duplicate nature’s creative genius? Central to the dance is the image of a bird, a poetic symbol of the flight of imagination and inspiration. After the premiere, The Lyon Opera Ballet will head for American shores–Berkeley, CA, to be exact–where it will perform at Zellerbach Hall as part of the festivities surrounding the 50th anniversary of the signing of the United Nations charter. The 30-member ballet company will present four American premieres including Angelin Preljocaj’s full-evening avant-garde look at “Romeo and Juliet” (June 19-20). Using a shortened version of the Prokofiev score, and setting the ballet in an unspecified time in the future, Preljocaj presents the lovers less as victims of fate than as victims of an oppressive class structure in which chastity is equated with political goodness. The headstrong and passionate love between Juliet, a daughter of the ruling class, and Romeo, a son of the underclass, challenges the existing mores and established order of a Verona society. “Romeo and Juliet” represents Mr. Preljocaj’s second ballet for the Lyon Opera Ballet. The Berkeley engagement will also feature “An American Evening,” (June 23-24), a program featuring commissioned dances by three young American choreographers: Stephen Petronio, Susan Marshall, and Bill T. Jones. Taking the theme a bit further, “An American Evening” will include music by U.S. composers: Susan Marshall uses Philip Glass’s “String Quartet No. 5;” Stephen Petronio uses a commissioned score by David Linton; and Bill T. Jones uses gospel music sung by Liz McComb. The sets are by Donald Baecheler, the costumes by Bill Katz, the lighting by Robert Wierzel and Ken Tabachnick–all of whom are American. But before the Jones premiere and the company’s California dates, the Lyon Opera Ballet–France’s most well-travelled ballet troupe–will be seen in Antwerp, Belgium (April 5-6); in Brussels, Belgium (April 11); in Créteil, France (May 3-6); and in Macon France (May 9). Created in 1969 by Lyon Opera Director Louis Erlo, the present Lyon Opera Ballet was established in 1984 when Mr. Erlo invited Françoise Adret to create a new ballet company committed to contemporary choreography. When Ms. Adret retired in December 1991, Yorgos Loukos, who had been the company’s Associate Artistic Director since 1984, was appointed Artistic Director. 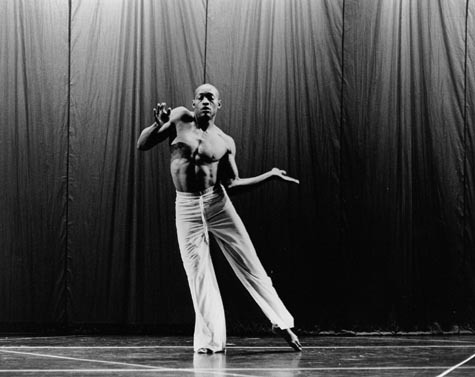 Bill T. Jones was named LOB’s Resident Choreographer in January, 1994. He succeeds Maguy Marin in the position. The company made its United States debut in 1987 with a two week season at City Center in New York, where it presented Maguy Marin’s “Cendrillon,” which became an instant hit. The company returned to New York that spring to present the ballet for an additional two weeks. LOB has subsequently made three cross-country tours of the United States. To date, LOB has acquired and commissioned ballet from a wide range of international choreographers including Karol Armitage, Christopher Bruce, Lucinda Childs, Mats Ek, Louis Falco, William Forsy the, Jiri Kylian, Nils Christe, Nacho Duato, Ralph Lemon, Mathilde Monnier, Jean-François Duroure, Ohad Naharin, and Maguy Marin among others. In January, the company presented a celebration of French modern dance past and present that included premieres by three French choreographers: Jean-Claude Gallotta, Josu Zabala, and Stanislaw Wisniewski. The eight-day celebration, which took place in Lyon, also included classic works by Maguy Marin and Dominique Bagouet. The company was last seen in the United States in September when it performed at The Joyce Theater in New York City.